Early Release next week and other important dates for February. Congratulations to our K-2 Chess Team for taking top honors at last weekend's Comal ISD Chess Tournament at Canyon Lake High School. 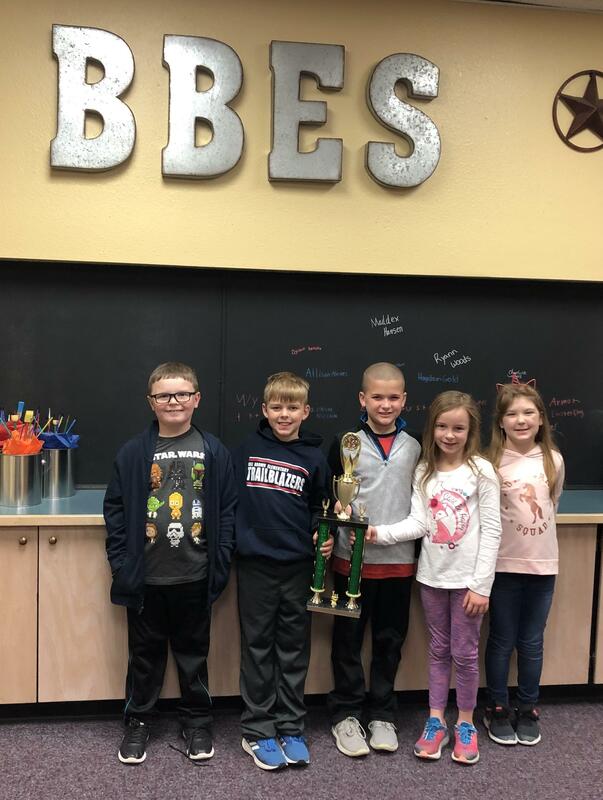 Congratulations to our K-2 Chess Team on taking top honors at the CISD Chess Tournament at Canyon Lake High School on Saturday! Way to Go! Congratulations to Mrs. Proctor BBES Teacher of the Year! Thank you to all who helped to make the 2nd Annual Pet Drive a success! Parents please remember to label your child’s personal items and if they are missing anything, check the lost and found. ¡Felicidades a la Sra. Proctor por ser nombrada maestra del año de BBES! ¡Gracias a todos aquellos que ayudaron a que nuestro evento para recaudar provisiones para mascotas fuera un éxito por segundo año! Padres de Familia les pedimos que por favor le pongan el nombre de sus estudiantes a sus prendas y si hay algo que hayan perdido favor de pasar a checar el área de objetos perdidos.